This was the second time that Brian modeled for us. He is a student from a nearby college. 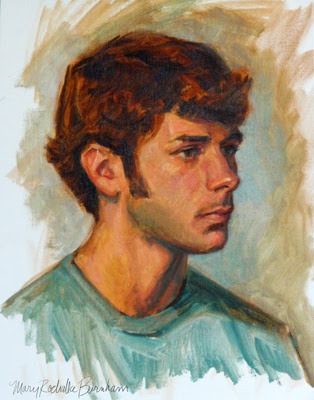 A handsome young man and an enjoyable model to paint!